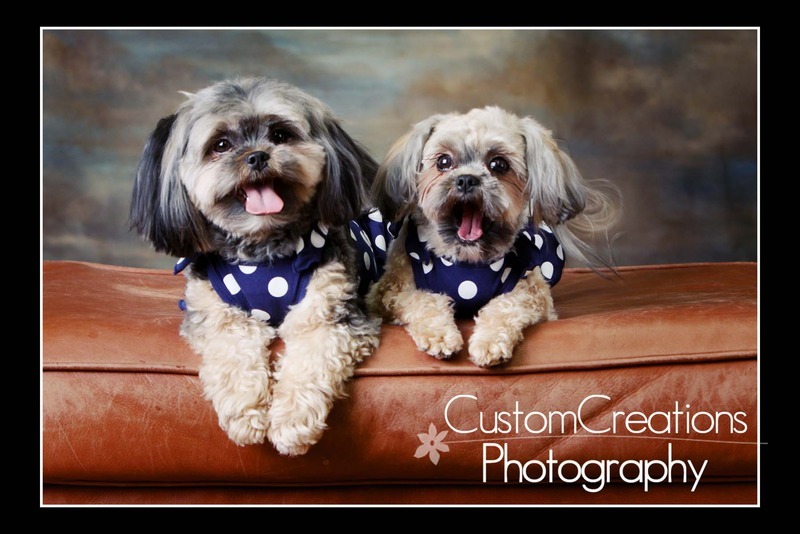 These two adorable little ladies came in this past weekend for their photoshoot! They won the Southwest Publishing “Cutest Pet Contest” which I sponsored, therefore earning them a free session and a framed print! they were the sweetest little furry friends, and I enjoyed having them in the studio! (not to mention they discovered the few pieces of cake remnants that were leftover from the First Birthday Bash that was in the studio right before them!!) Here is a sneak peek of Bella and Izzy in their beautiful dresses! !